It's the Grand Tour of the South of Italy. We run along the Tyrrhenian coast and explore Sicily. The tour starts in Rome and ends in Palermo 14 days later. Lots to see, to ride and to eat (the food and wine in the south are superb!). Perfect for couples. 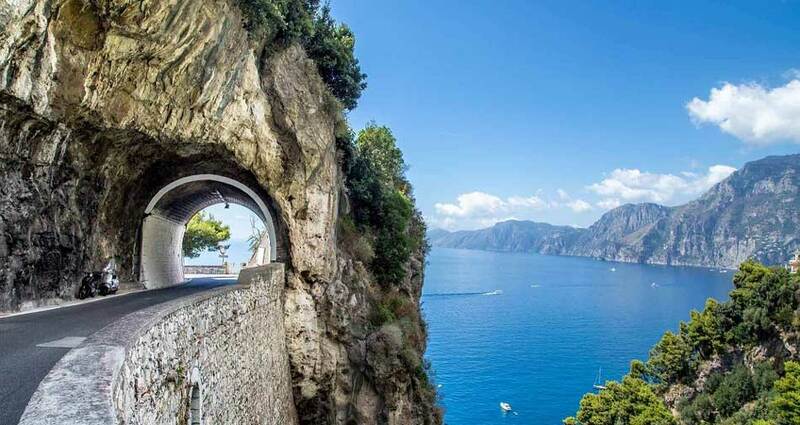 Finally combined in one tour of a week, you can enjoy a ride in the Amalfi Coast and through the most classic of Tuscan countryside near Siena. In between stops are made in Sperlonga and Orvieto to complete an amazing ride. A 7 day tour of the Italian South. We start heading south of Rome along the Tyrrhenian coastline to the Amalfi Coast and then turn inland visiting the wonderful regions of Basilicata and Puglia along the Adriatic sea coast and back to Rome. Explore all of Sicily in detail. We do a full anti-clockwise circle of this incredible island, visit as much as we can of the sites this island has to offer.